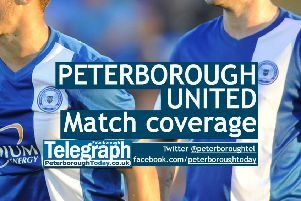 Chairman Darragh MacAnthony’s Easter gift to Peterborough United fans is to slash admission to just a tenner for the Good Friday (April 14) League One fixture with Fleetwood at the ABAX Stadium. Tickets have been reduced to just £10 for adults, 18-21-year-olds and senior citizens (60+) with anyone who has already purchased a ticket for the game urged to contact the Ticket Office either in person or over the phone (01733 865674, option 2). Fleetwood are riding high in third place in League One, but they’ve only sold just over 50 tickets for the match so far.